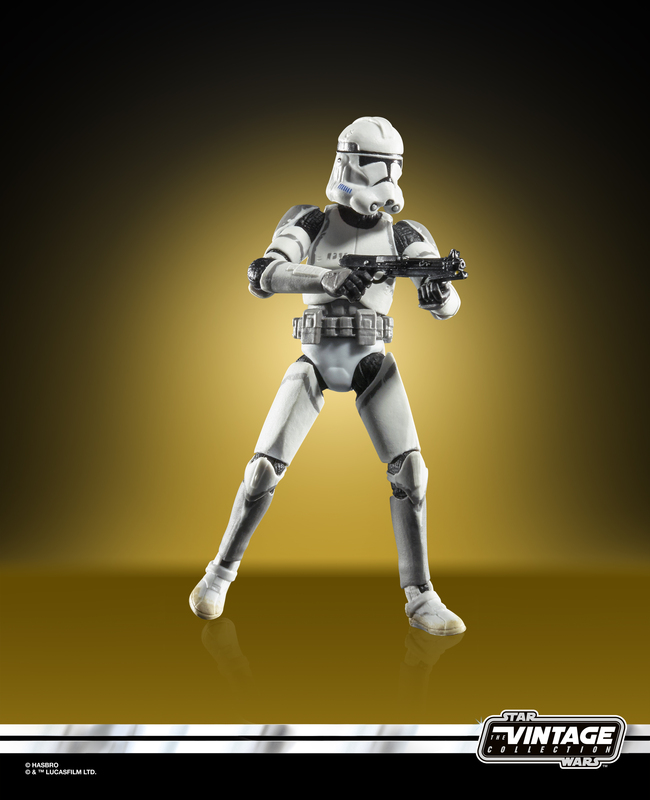 Hasbro have revealed some of their forthcoming Star Wars The Vintage Collection during a SYFY livestream from NYCC 2018. Both figures will be exclusives, will retail for $12.99 and will be available from Spring 2019. 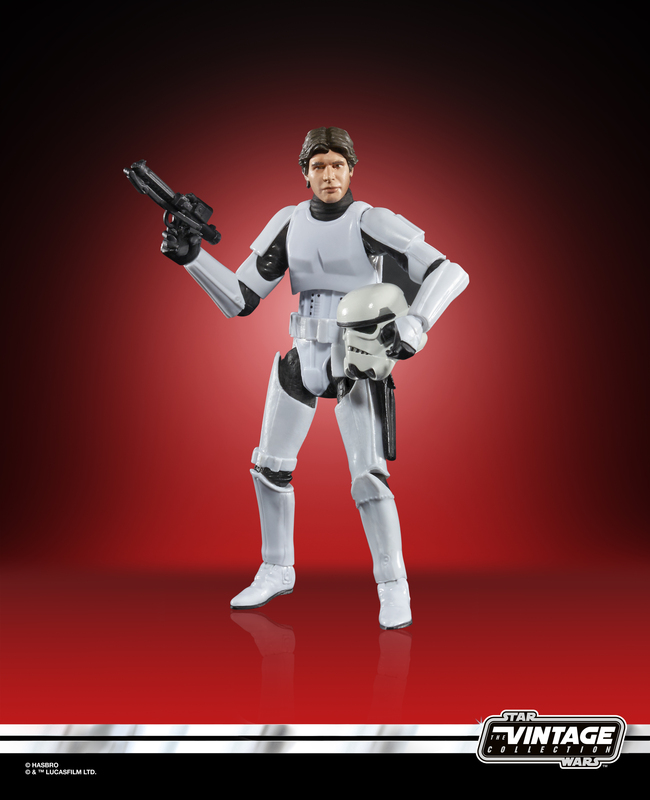 The first is the ever popular Han Solo in Stormtrooper disguise featuring removable helmet, blaster and holster which will be a Target release. 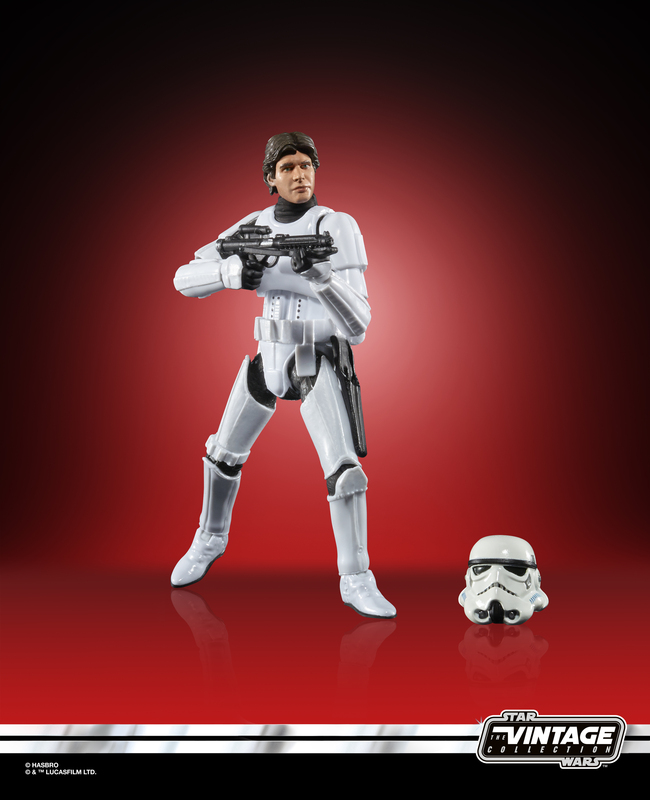 Next is the 41st Elite Corps figure with removable Clone helmet and blaster which will be a Shared Fan release. 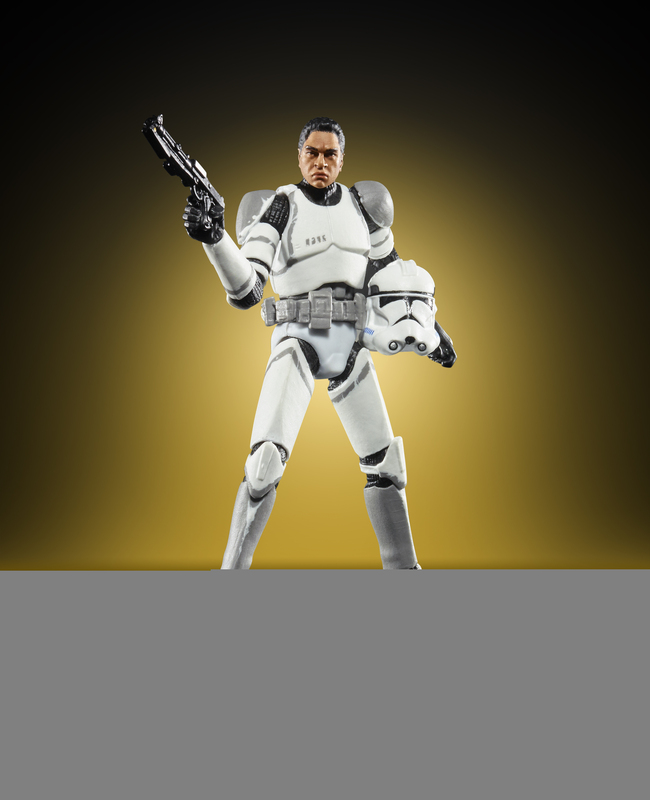 Hasbro had earlier announced a Force Link 2.0 Resistance A-Wing fighter together with a selection of 3.75″ Action Figures available for pre-order from Entertainment Earth. 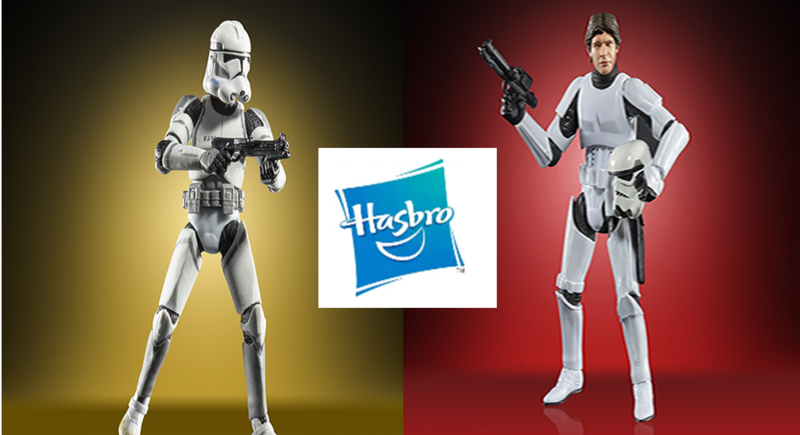 Together with 3 new Force FX sabers from Obi-Wan, Darth Maul and Mace Windu which are for pre-order at $174.99 from Entertainment Earth and Amazon there is a range of quality products heading our way.